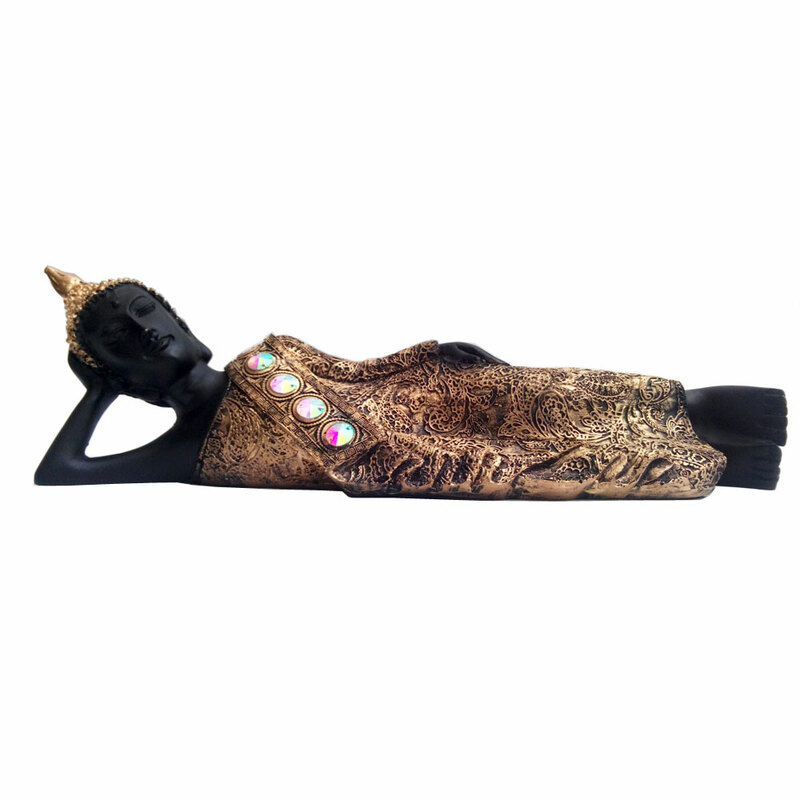 The fibre sleeping buddha statue is appealing enough to look nice on the shelf or tabletop in any household. This fibre sleeping buddha statue has the buddha in his classic reclining pose, which spells peace and tranquility for all of the surroundings. Therefore, this Read More..statue can be an extremely wise and effective choice for making all home interiors much more peaceful without hampering the energy levels of the place or its inhabitants. Moreover, the exquisite detailing on the robe of buddha in the statue is worth marveling, and is bound to add to the glamour of any shelf or tabletop that it adorns. Show Less..